There are a lot of great publishing and writer’s organizations in the San Francisco Bay Area, which makes it great for authors and self-publishers. I’ve written here often about the activities at the Bay Area Independent Publishers Association (BAIPA), Redwood Writers, (the local branch of the California Writers Club), the Bay Area Editors Forum, and others. Today I want to tell you about a different organization, the Northern California Book Publicity and Marketing Association (NCBPMA). This month’s program will attempt to … provide attendees with a more in-depth look at this trend which was once stigmatized in the publishing industry. Publishers, marketers and authors who are self-publishing will provide tips on how to adjust in this changing environment. They will share their successes and failures and end the event with answering all of your self-publishing questions. Those who attend will learn how they can become a part of this industry-wide change which is certainly here to stay. Nina Amir (@NinaAmir) Inspiration-to-Creation Coach, inspires people to combine their purpose and passion so they Achieve More Inspired Results. She motivates both writers and non-writers to create publishable and published products, careers as authors and to achieve their goals and fulfill their purpose. Nina is also the author of the recently-published How to Book a Blog. Michael Ashley (a.k.a. “Mash” @FastPencil), is Founder & Chief Technology Officer at FastPencil which helps authors connect, write, publish and distribute books with just a few clicks. He is a successful entrepreneur with over 12 years experience in web applications and Internet publishing. In his free time you can find him stand-up paddle surfing in his hometown, Santa Cruz. Mash is the author of the iPad Publishing Guide and his new book, TORQUE – How to Turn a Good Idea Into a Great Business. Alan Petersen (@AlanPetersen) is a blogger and affiliate marketer with several online properties in a variety of niches. Before starting his entrepreneur career online, he worked as a business analyst for several Fortune 500 companies. In 2008, he started self publishing books and guides on topics such as international travel and law in his home country of Costa Rica. Katie Sheehan (@BKPub) is the Senior Publicity Manager at Berrett-Koehler Publishers. Katie has a background in Marketing and Public Relations in a variety of fields, including radio and television, high tech, and nonprofit. She hails from Canada where she completed her undergraduate studies at McMaster University, in Ontario. In her spare time she enjoys spending time camping and hiking with her dog. Katie has served on the NCBPMA Board for many years. First, what are the basics of self-publishing and how does the process differ than being published by a publisher? 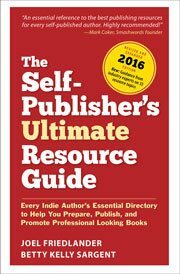 What strategies have you seen authors pursue in independent publishing that have been successful? What role do you see publicity and marketing professionals playing in self-published books? As more authors develop a hybrid publishing model using both traditional publishers and their own imprints, how can these two sides hope to coordinate? Or will they even bother? As epublishing continues to expand, what will influence the promotion of ebooks, online (i.e. social media ) marketing or traditional media+advertising? While nothing is one-size-fits all, what is the profile of a book or author that you would recommend going the self-publishing route? What are some resources that you would recommend to authors who are interested in self-publishing to learn more? How do self-published authors copyright their books and control content? It sounds like a great agenda. Unfortunately I won’t be able to be there. I hope you’ll blog about it afterwards.